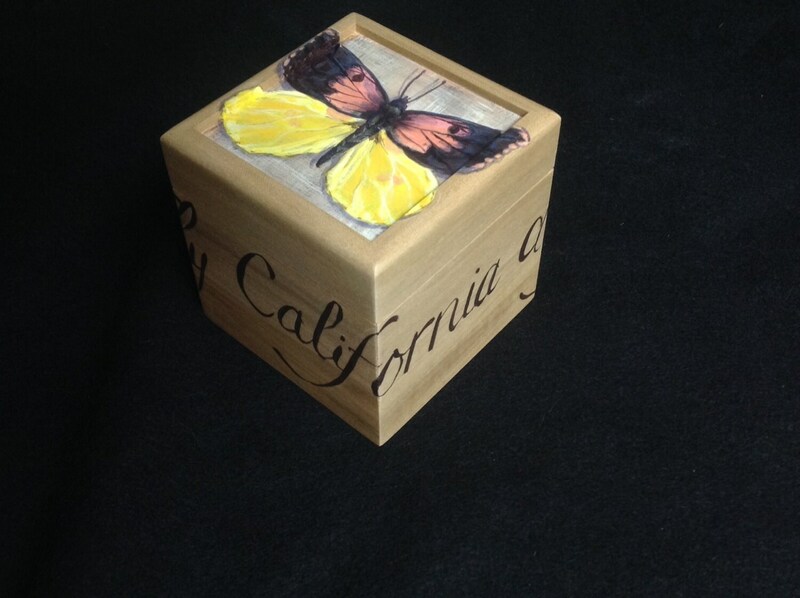 Part of the "California State Critters" series, this charming box features the California state insect, the dogfaced butterfly. Its unusual name comes from its unusual wing markings, which (if you close one eye or squint a little) looks a bit like the profile of a canine. See it? 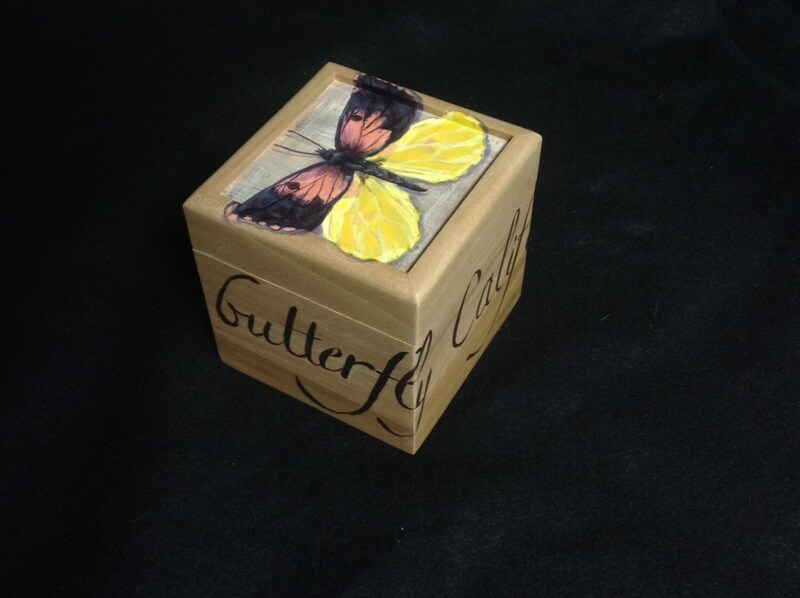 The lovely butterfly's name flows around the sides of the box in hand-lettered script. 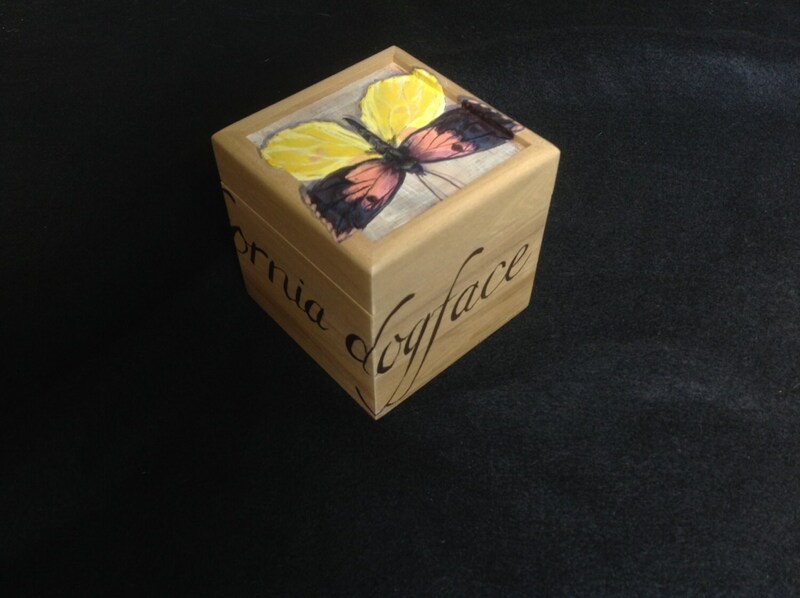 This piece makes a beautiful accent piece, a desk organizer, or a thoughtful gift! 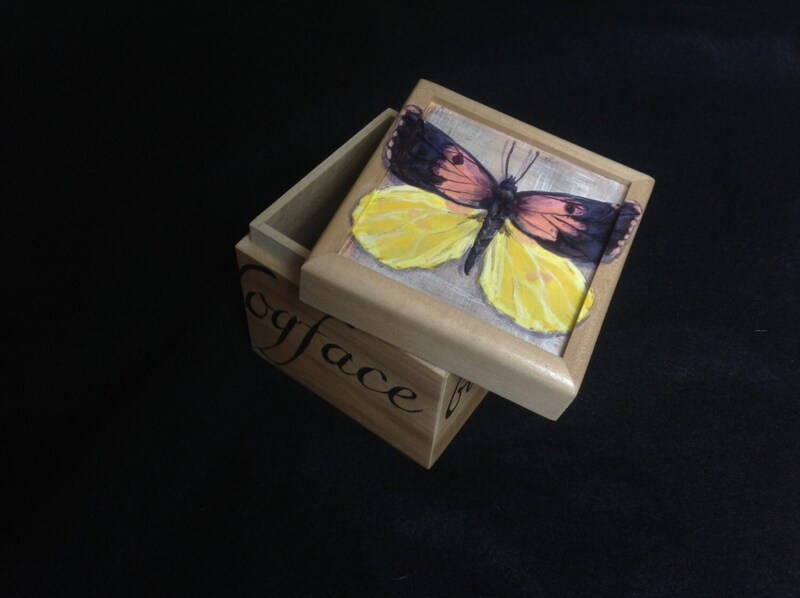 And because I create each one by hand, no two will be exactly alike, ensuring you a one-of-a-kind piece of usable art. 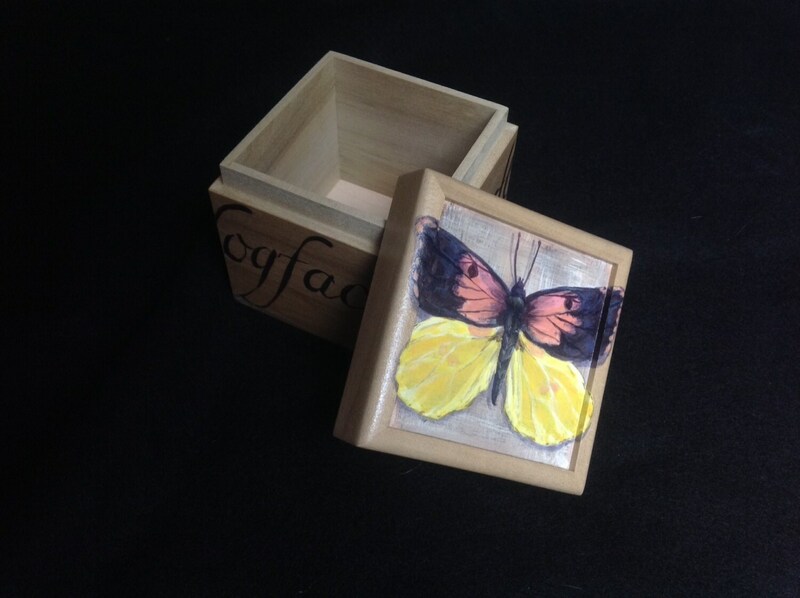 The box itself is beautifully handmade by Designcraft Industries out of solid poplar, measures 4" on each side, and each one is hand-painted with original artwork by Lara Eve Designs, using all non toxic acrylic paints and sealers. Additional sizes are also available (for additional cost), just ask! Each piece is signed and numbered for authenticity.